Make a pretty Christmas tree skirt with holly leaves with this easy crochet pattern download! This is marked one star of difficulty (BEGINNER / EASY ) in the Golden pattern book it came from (1985 vintage). If you can single, double, and triple crochet, you can make this skirt! Easy instructions. Full color pdf, instant download when you purchase. 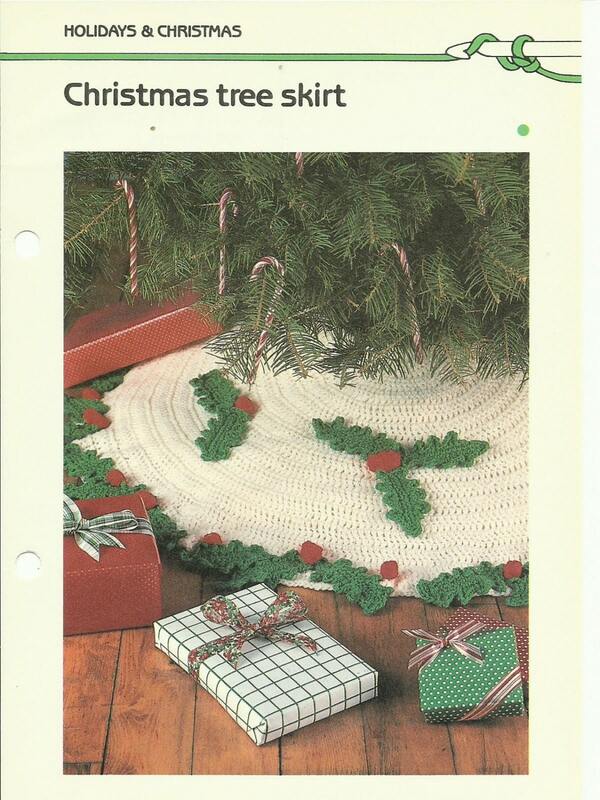 A great tree skirt to make for your family tree.